It has been arguably the most wild start to March Madness of all time. Featuring the first ever 16 seed victory over a 1 seed in UMBC’s win over UVA. Brackets were busted immediately when Arizona got blown out and it has had its effect on the sports world and specifically the members of DHS. On Thursday morning all participants breathed in the clear air with lungs full of hope, and at the end of the weekend everyone heads into school Monday with their heads down. Basketball nerds are shocked at what they saw and people who only fill out the bracket and seemingly don’t care are excelling. But the saddest realization of them all is the fact that this happens every year. Each March every person’s belief in their basketball knowledge is destroyed. At the end of it all you find yourself wondering why you even still watch. Check out the eight phases of March Madness and ones bracket. 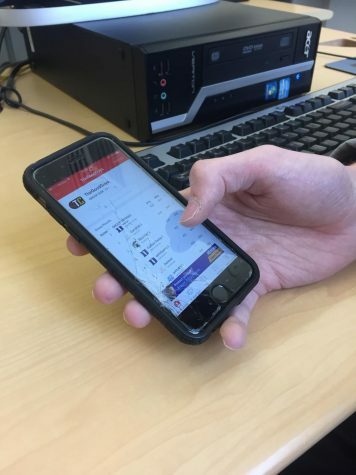 ESPN’s tournament challenge app is where everyone keeps track of where they stand in their pool; it even works in school! Picture yourself here: the bracket comes out on Sunday night, you see it and you know it’s your year. “Come on! This is too easy!”, you say to yourself as you fill out your bracket in sharpie pen, no less. You’ve got all of the trendy upsets picked out, and you know UVA is a lock to win the championship this year. “Who even is UMBC?”, you wonder as you giggle to yourself, looking at Virginia’s first round matchup. You also know that a 16 seed has NEVER beaten a one seed, so you know the Cavaliers will have an easy first few games. Your bracket is absolute gold. The first game of the tournament just finished up, URI beat Oklahoma and guess what, you picked URI! What a hot start. How could anyone pick Oklahoma? You’re a “bracketology” genius, you’re going to win your pool, and you’re going to have the best bracket in the country and win a million dollars. If you could imagine, this phase usually only lasts through the first few games if you’re lucky, because before you know it you’re the idiot who’s championship team is getting dominated by a bunch of dudes who play for a school you’ve never heard of from a state your not 100 percent sure is real. First day of the tournament is over and the Wildcats are dead. Arizona was another very common championship pick. A strong team led by future NBA star Deandre Ayton, the Wildcats seemed primed to make a run, and senior Will Rehm certainly bought into the hype. Here were Rehm’s thoughts after Arizona fell to 13 seed Buffalo in a first round massacre; “I picked Arizona because they have one of the best players and they won the PAC-12 plus they were coming off a win streak. Turns out that was all meaningless and I hate myself.” Arizona weren’t the only team to ruin Friday. Miami also fell to 11 seed Loyola Chicago. Most people wouldn’t be dead with Miami and Zona out and yet, it was a mere reminder that in March attempting to use logic is in fact illogical. Phase Four: Is this the year of upsets? Sitting on your coach at about midday Friday and TCU and Wichita State have fallen. Maybe you had one of those but there’s no way you can keep this up. Every game is close and you forgot that you hate March Madness. Sometimes it’s great but 97% of the time it’s unreal stress and frequent checks to your bracket. You’re still kind of alive and that last bit of hope keeps you vulnerable and scared. Still many games left to play in the round of 64. Phase Five: What the heck is going on here? After a tough Friday night, you’re sitting at home with a new found sense of hope. You’ve laid out all the possible situations and now know that if Loyola-Chicago continues to make a run to win the championship, you could still win your pool. So there you go, you’re not dead yet and can absolutely still win. You’re back!! Phase Seven: Why do I do this to myself every year? By Sunday night all of your final four teams have lost, including UNC, Michigan State, Xavier, and Cincinnati. You’ve officially quit on your bracket and have thrown your phone across the room no less than three times. Senior Jack Joyce describes the situation perfectly, as he had Michigan State going all the way in his bracket, “I’m honestly embarrassed. 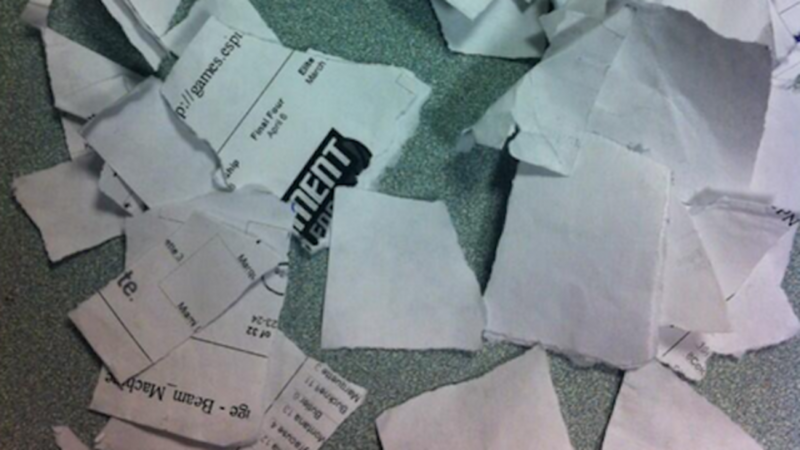 It’s an inescapable feeling.” Aside from the embarrassment, a failed march madness bracket offers a real sense of frustration and anger like no other. Most people in this phase are reminded of why they actually hate the month of March and want no part of it. 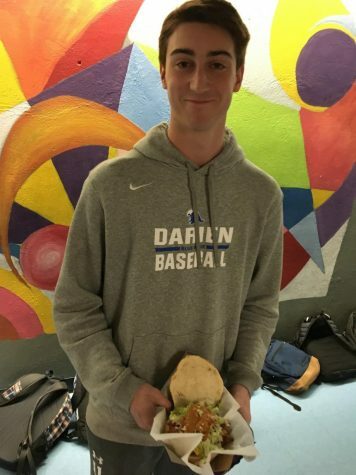 Senior Jackson Vaught smiles through the pain that is March Madness; even the self-proclaimed bracket guru’s have to fall.